For projects that compensate Montana citizens for the effects of exploration and mining on Montana lands and serve the public interest and the State of Montana. DNRC will recommend no more than $300,000 for most projects. 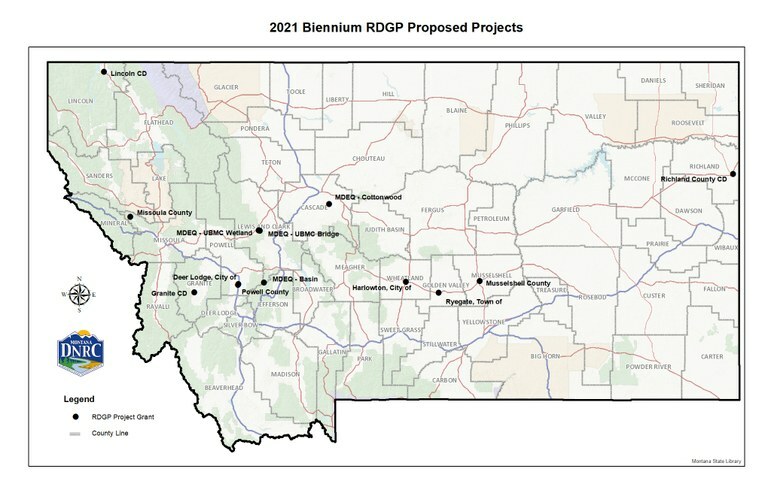 DNRC may recommend up to $500,000 for a project if the applicant has clearly demonstrated multiple natural resource benefits , the need and urgency of the project, and the financial need and unavailability of other funds to complete the project. Complete an application online and submit by mail to DNRC. DNRC solicits, evaluates, and ranks each application and forwards its recommendations for funding to the Governor’s Office before each regular legislative session. With the governor’s approval these recommendations are submitted to the legislature. The legislature makes the final decision on which projects will be funded. Funds for projects approved by the legislature are awarded according to the funding priority list set by the legislature and are contracted according to available revenue. Not all approved projects will be funded if the total amount requested exceeds available funds. *Information on upcoming deadlines can be found by clicking on the available grants to the left. Need some tips on putting together an application or what to do once you have a grant? See our Resources and Training page. Looking for a current RDGP application? Click on the available grants to the left.